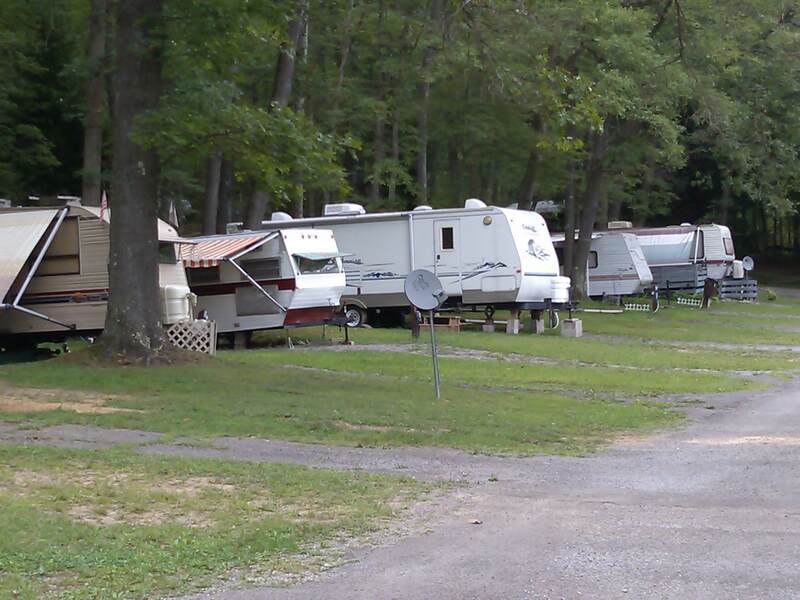 Welcome to Rustic Acres, a terrific 24 acre, family campground nestled in some of the prettiest countryside of Western Pennsylvania! two sides by beautiful Pennsylvania State game lands; 3,000 acres of wooded game land, boasting public hunting and fishing of both large and small game. way to make sure your every visit is one you & your family will never forget! Rustic Acres boasts a beautiful campground that surrounds a wonderful picnic pavilion, with a sun room, fully equipped kitchen, and plenty of room left for dancing and parties.We offer 95 full service (electric, water & sewage) RV sites, to include 15 winter use sites, a multitude of primitive sites, and variety of camper rentals. Any one of these options insures your unique camping experience. Seasonal sites also available. 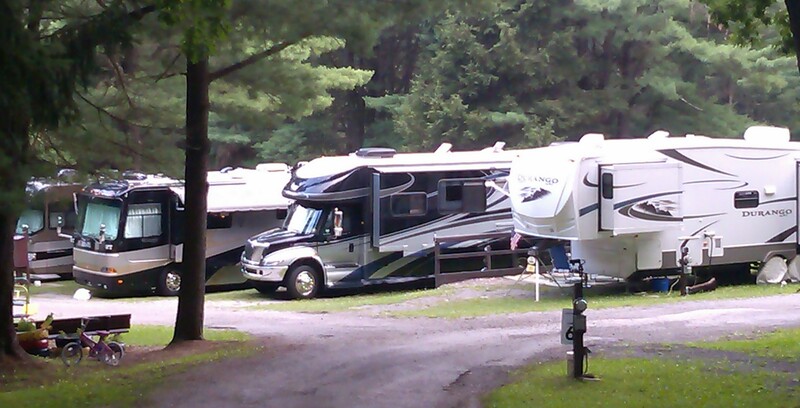 For RV campers, we offer shaded, level sites that feature full hookups, including 20 and 30 amp electric. 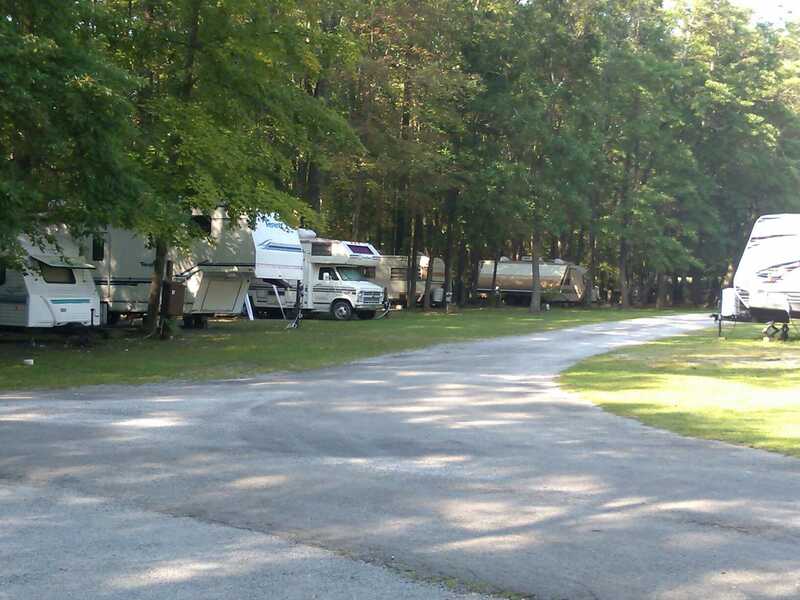 With our generous sites, even big rigs and campers with slide-outs will find that they have room to spare. There are even back-to-nature wooded, primitive sites for tent campers. Every campsite comes with a picnic table and fire-ring for outdoor meals or songs around the campfire. For the kid in all of us, Rustic Acres offers horse shoes, shuffle board, children's playground, wading creek, basketball, volleyball, miniature golf, and hiking trails. 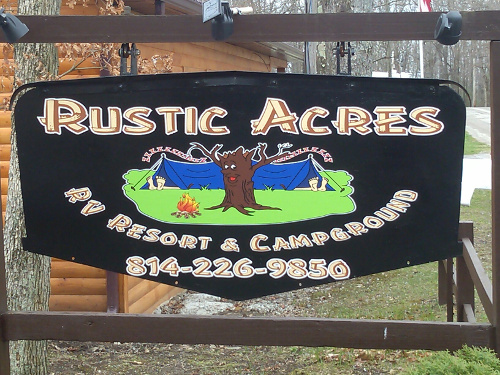 At Rustic Acres, our goal is to make your camping vacation as relaxing and pleasant as possible. That's why we go out of our way to offer every amenity you need. Whether you come as a tent camper, an RV camper, or are planning to stay in one of our rental campers, we know you'll have a terrific experience.You'll find clean showers and rest rooms in addition to the Rustic Acres Camp Store, a great place to visit for last minute supplies and snacks. We've got a Laundromat facility with 2 large bathrooms; dumping station is here for the campers convenience. We also have a 1,000 gallon propane tank for refills, with site pick-up service. Activities in the park included, and are for the convenience of the campers. Let Rustic Acres show you how much fun camping can be! Daily, weekly, monthly and seasonal rates available. We also have 15 sites which are open year round.